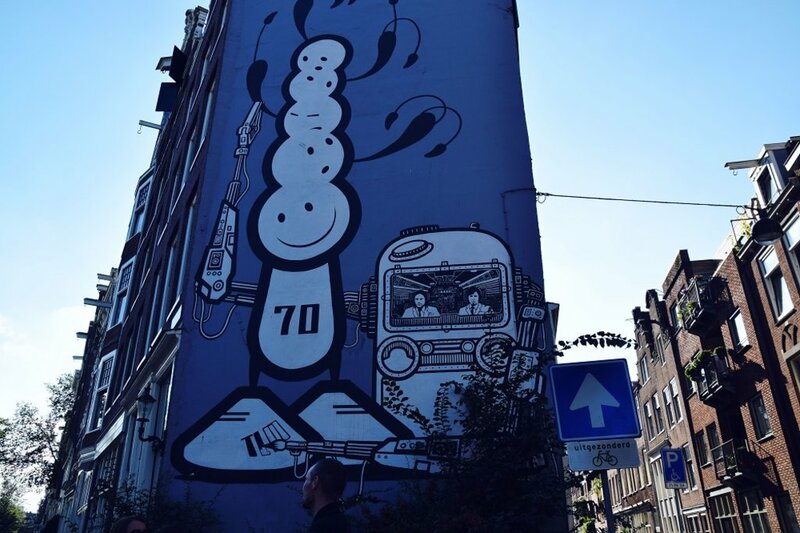 Amsterdam isn't exactly Shoreditch when it comes to street art, but it's definitely there if you know where to look, and a street art tour makes for a great addition to your Amsterdam holiday. Recently, I went on a street art tour of Amsterdam, prompting me to view street art differently. As a result, I've come up with a list of some of the coolest places to experience it. 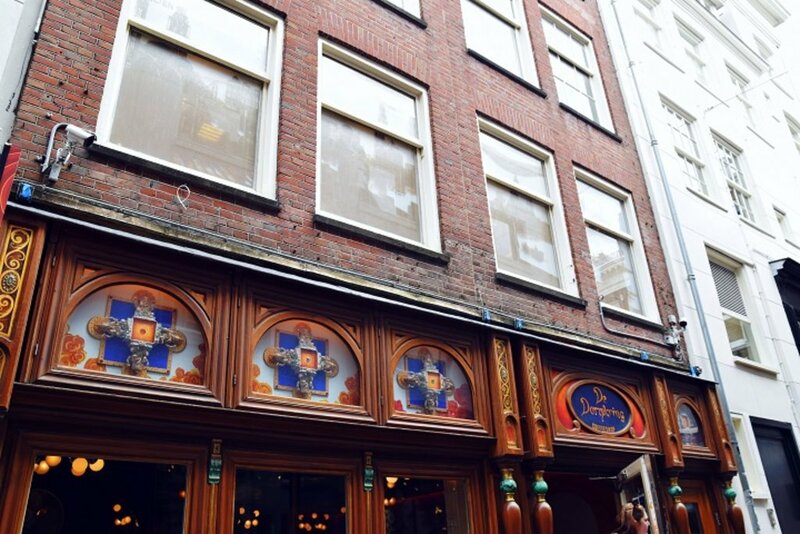 It has long been a well-known coffee shop, but after featuring in Ocean's Twelve with Matt Damon, Brad Pitt and George Clooney, De Dampkring (Handboogstraat 29) became a big draw for tourists. But this isn't about the coffee shop: it's the work of famous Dutch artist Max Zorn plastered on the windows above it. Duct tape to be exact: carefully shaped to create scenes of life. When backlit at night it's a quite a sight. Icy and Sot are Iranian stencil artists, whose work can be found all around Amsterdam. Their biggest piece is a Muslim woman with the veil in the Voetboogsteeg. The brothers are strongly influenced by their Iranian heritage, unafraid to question life as they know it in their home country. Which in the past has led to them being arrested in Iran. Nowadays, they live in New York, where they're well regarded by the local street art scene. 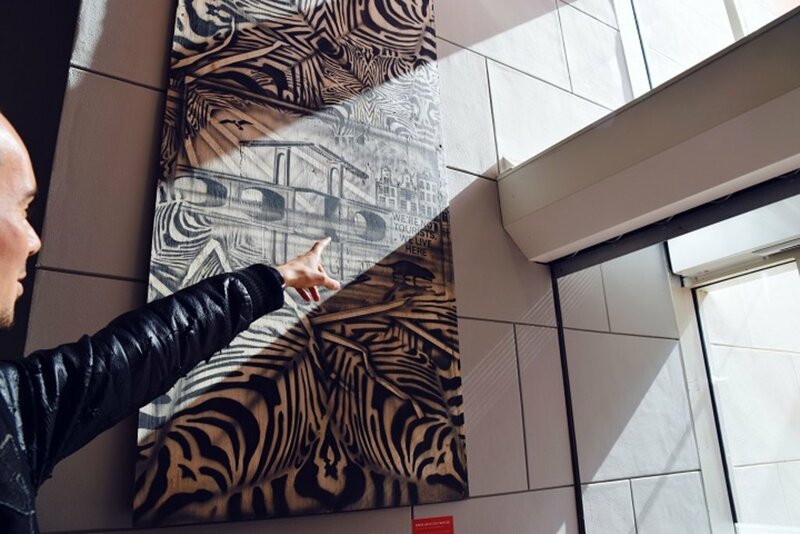 Currently, Amsterdam Museum (Kalverstraat 92) houses an exhibition on graffiti (New York and Amsterdam Graffiti in the 70s and 80s to be precise) that runs until January 24. But even if you don't have the time to attend, it's worth stopping by the Amsterdam Museum briefly. Because in the hallway you will find two pieces that qualify as street art. The first looks like it's straight out of a Banksy studio, but was actually created in the 80s by an artist called Hugo Kaagman. He was definitely ahead of his time, complaining about the amount of tourists, even back then. Just a bit further on, high up on the wall, is an exhibit of a slightly overweight, unhealthy looking man. This is Theo van Gogh, the late controversial director. He was murdered in broad daylight in Amsterdam by a radical Muslim who didn't agree with his criticism of Islam. An unknown person made the artwork, left it on the streets, where it was found and given to the museum. This is the original place to go if you want to encounter some street art. This street (and a few around them) used to be 'squatter' streets. That's to say the buildings were mostly rundown and inhabited by artists and performers. The street was one of the most distinctive in Amsterdam, but recently the city council started demolishing the brightly coloured buildings, replacing them with more commercial properties. This gigantic piece of street art can't be missed. The London Police, two artists from the UK, headed to Amsterdam in 1998 with a mission to cheer up Amsterdam streets. 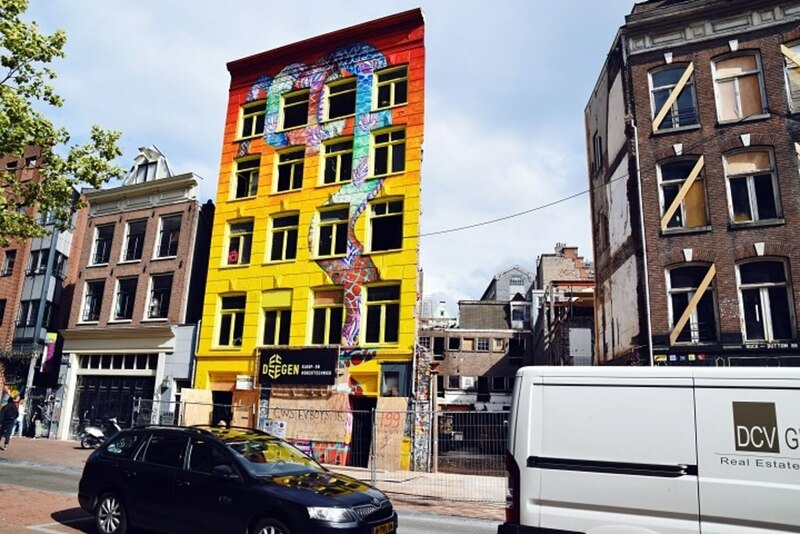 Eventually, they got the opportunity when the owner of the house on the corner of Prinsengracht & Tuinstraat agreed to it being adorned with street art. While officially illegal because the house has special status, the authorities consented to the householder's decision and the street art has remained ever since. 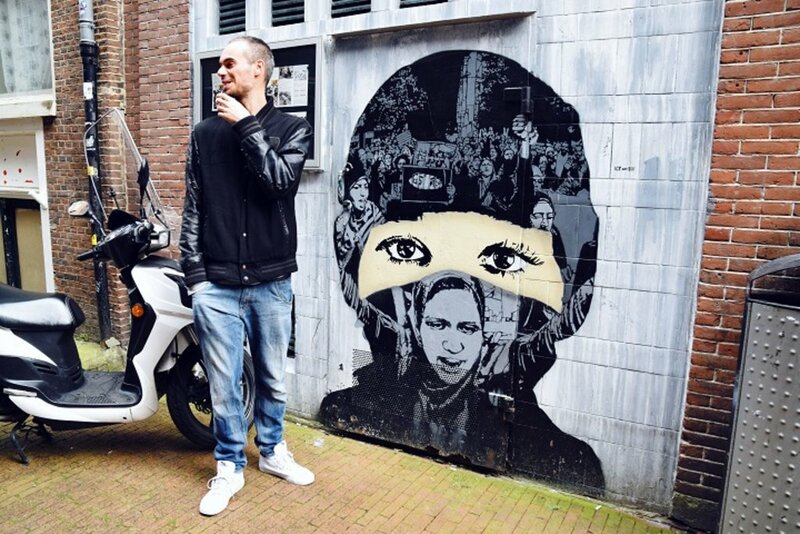 Check out Amsterdam's street art while visiting the city. Book a hotel in Amsterdam and start planning your tour.